Mixology Monday XCV: Call Me Old Fashioned! This drink comes from Jacques Bezuidenhout at Pesce restaurant in San Francisco, which appears to have first been recorded by Gaz Regan a decade ago. More recently I had a number of them at the Liberty Glass bar in Portland, which made for a very pleasant evening. Because I enjoyed it so much, I knew this was a drink I had to figure out how to make at home. While the recipes I've seen online have precise measurements, the ones I had at Liberty Bar were free poured and seemed to work out rather well, so that's how I made them myself. Build over ice in a chilled rocks glass, then stir briefly to combine ingredients. It's hard to get much of a nose with all the ice, but it's mostly the grapefruit talking. The sip begins bittersweetly, with the orange liqueur and grapefruit balancing each other, while the Campari brings the bitter bass near the back. This is a case where you really want an orange liqueur with a characterful base. Most of the recipes I've seen suggest Grand Marnier, which has a brandy base. I quite like it with the rhum agricole-based Clément Creole Shrubb. Even better, make your own. But an orange liqueur with a neutral base like Cointreau or even Pierre Ferrand Dry Curaçao isn't going to cut it here. But no matter how you make it, this is an almost perfect warm weather cooler. 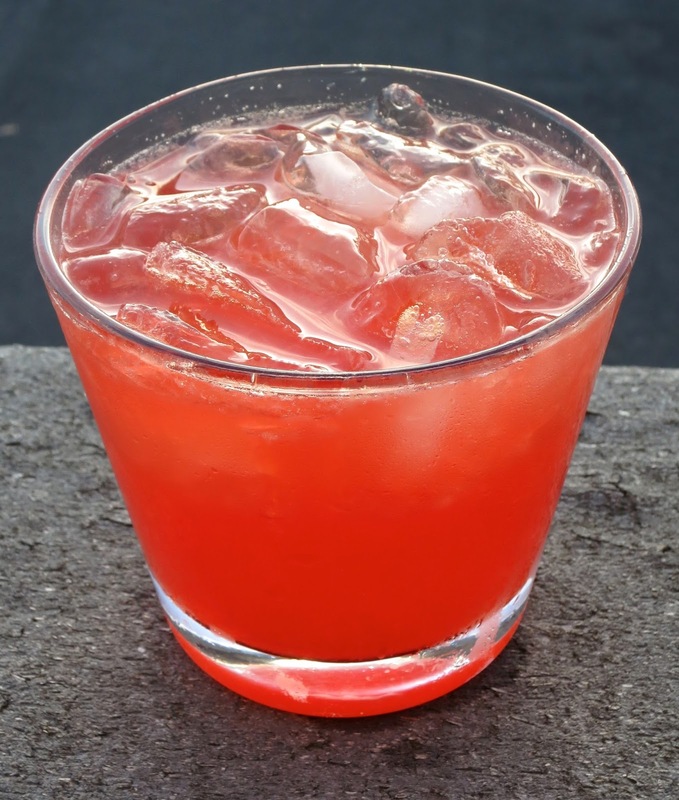 The Campari and grapefruit give it some snap while the orange liqueur smooths out the more assertive elements. This is right up there with the Americano and other classic session drinks for me. "It is a fact well known that the old-established Scotch houses, above all others, are enabled to give a higher class of whisky, by reason of their careful study of the science of blending, which they have now reduced to a fine art....The idea is, to produce a blend so perfect that it strikes the consumer as being one liquid, not many – i.e., having absolute unity, tasting as one whole." This theory of blends is coincidentally the same for one of my other great loves - tiki drinks - that combining spirits in multiple styles will produce sets of flavors that are impossible to create by any one distillery on its own. To a lesser degree, this principle is at work in every bottle of single malt that doesn't come from a single cask. Most single malts are combinations of many different casks, which are put together to create a consistent flavor profile from batch to batch. More variety can be created by aging malt whisky in different varieties of casks, but there will always be a delineated range of flavors that evolve from the same spirit being put into oak casks. Even distillers that produce multiple styles of spirit in-house, such as Springbank, Benriach, Benromach, Bunnahabhain, and Bladnoch (that's a lot of Bs, isn't it?) are ultimately still producing those spirits with the same equipment, which will create noticeable similarities between the different varieties. The next level would be blend malts, which are mixtures of malt whiskies from two or more distilleries. This vastly increases the range of possible flavors as there are dozens of different malt distilleries in Scotland. Compass Box is one of the most lauded producers of blended malts in Scotland, producing expressions like Spice Tree and Peat Monster. Other producers include independent bottlers like Douglas Laing, Wemyss, and Duncan Taylor. Finally, there are blended whiskies, which are mixtures of malt whisky and grain whisky, either from multiple distilleries or a single distillery (Ben Nevis and Lochside briefly produced both malt and grain whisky). The components of a single blend will often include malt whisky from a dozen or more different distilleries with grain whisky from several different distilleries (there are only a handful of grain distilleries in Scotland). This means that the blenders putting together each expression have an enormous range of whiskies to work with, which, as I noted above, makes it possible to create flavor profiles that would be impossible to produce with the products from a single distillery. While the grain whisky component is usually thought of as a way to dilute and stretch more flavorful and expensive malt whisky, it does bring its own set of flavors. Unfortunately it's very difficult to get a sense of what grain whisky has to offer as there are so few expressions available (even fewer that are cask strength) in the US for reasonable prices (Haig Club doesn't count). Corn and wheat (the two most common grains used in grain whisky) have their own flavor profiles that are distinct both from each other and from malt whisky. So where does one begin if they don't have access to warehouses full of maturing casks (and the accompanying headaches that come with such a big job)? Probably the best place is by blending different expressions of malt whisky. Most whisky enthusiasts will have a number of bottles open at a given time and at least one of them is going to be more neutral than the others. Basic expressions from Glenfiddich/livet/morangie tend to be relatively easy going whiskies that can absorb more flavorful whiskies, such as heavily peated or heavily sherried malts. I have found that whiskies that are already at a fairly low proof come together more easily than cask or batch strength whiskies, so this is a great place for something in the 40-46% range. As demonstrated by Ralfy, a good way to do this is to line up several glasses of a more neutral malt and add increasing numbers of drops of a more flavorful malt down the line. This is a great demonstration of why those heavily flavored whiskies are so critical to blends, as small amounts can radically alter the flavor profile of less flavorful whiskies. Another place to start is with a blended whisky like Johnnie Walker Black Label or Compass Box Artist's Blend. These already contain a number of different malt and grain whiskies, but their flavor profiles can be shifted dramatically by the addition of a bit more malt whisky, especially if it's heavily flavored. Wish your Johnnie Black was a bit more peated? Pour in a touch of Ardbeg or Laphroaig. Wish Artist's Blend was more aggressively sherried? Add a bit of Glenfarclas or Macallan. Even a tiny splash of malt can pull the blend in a new direction. This is, coincidentally, a great way to stretch your expensive single malts. While the home blends won't be quite as robustly flavored as the single malts, you may be pleasantly surprised to find how flavorful the blends can be with a little doctoring. From there you can move on to more complex blended malts. Again, it's good to start with something a little more neutral as your base - Clynelish is fantastic for this purpose, Arran is also a solid pick, and the multitude of Speyside distilleries exist largely because they form such a good base for blends. Bourbon cask malts are probably the best, as the vanilla and oak will help to give balance and backbone to the other components. Refill sherry would be next best, especially if it's on the lighter side. The two simplest axes to work with are cask type and peat - both can nicely inflect the base malt without overwhelming it as long as you are careful about how much you add. You can try layering multiple styles of the same influence, e.g. the more coastal notes of sherried Bunnahabhain with the cleaner character of a sherried Speysider or multiple styles of peat from different parts of the country. Alternatively, you can stack influences, putting sherry together with peat for an elegant but smokey profile. At this point you will start to notice how different whiskies fit with each other, either meshing to form a coherent whole or remaining distinct elements within the blend. There aren't hard and fast rules - much of this has to be learned through trial and error, though caution and a light hand can help to reduce the number of drams that have to be poured down the sink. Finally, if you can get your hands on some grain whisky that you don't mind tinkering with, you can go all the way to making true blended whisky from scratch. One tricky element is that the grain whiskies that are bottled are sometimes less neutral than what gets used in commercial blends. Experiment carefully as they can strongly influence the flavor of the blends you make with them. With that said, I highly recommend the Signatory North British 16 Year bottled for Binny's as one of the few reasonably priced cask strength single grain whiskies available in the States right now. If you can, experiment with different types of grain whisky - most grain distilleries currently use wheat as their primary grain, but Invergordon still uses maize as its primary grain and older ones made before the 1980s are also more likely to be made from maize (a switch occurred at that point as locally grown wheat became more economically attractive than American maize). A typical commercial blend is likely to be 50-80% grain whisky, but you can also aim for something more like Compass Box's Great King Street New York Blend, which was only 20% grain whisky. As I've already noted, experimentation is going to be critical to finding out what kind of blends work best for you. Though one great place to start is the recipe offered by Alfred Barnard in his piece "The Art of Blending Scotch Whisky", which utilizes malt and grain whiskies from every region of the country. Glenlivets would today be called Speyside whiskies - many distilleries in the area used to append -Glenlivet to their name before cease-and-desist orders were sent out by the owners of The Glenlivet. Between the Speyside, Lowland, and grain whiskies, this should give a fairly mellow and balanced whisky aided by the more characterful Islay and Campbeltown malts (though somewhat less if you stick with unpeated whiskies from Bruichladdich, Bunnahabhain, and Hazelburn). As noted in Barnard's text, using some sherried whiskies in the mix will also help to give the final product character and body. While it's perfectly acceptable to simply pour different whiskies into a glass, give it a swirl, and taste the results, if you really want to understand what's going on measuring each component and letting the result marry for days or weeks will be critical. For making single drams, a 50 mL glass graduated cylinder is perfect along with 30, 50, and 60 mL sample bottles for storing the blends. Additionally, this will let you more precisely proof down blends that are made with cask or batch strength whiskies, as they may be more harmonious (or just taste different) in the 40-50% ABV range. •Some peated whiskies are more forgiving than others. Highland Park and Bowmore give you a bigger margin for error and are less likely to dominate a blend, whereas Laphroaig requires a very light touch as it can all too easily dominate a blend. Others like Ardbeg, Benriach, and Springbank will run somewhere more in the middle. •Sherried whiskies will initially dominate a blend right after mixing, but integrate more thoroughly with time. •Adding more of a bourbon cask malt can help to smooth over the cracks between disparate malts - slip more in if things don't seem to be coming together. •Don't be afraid to try malts that seem at first blush like they would clash - sometimes things like Auchentoshan and Bowmore can go together surprisingly well. •Be extra careful with batch and cask strength malts when adding them to lower proof malts or blends. The extra alcohol also means extra flavor, so a little bit will go a long way. For further advice, you can turn to the K&L Wines Spirits Journal and the Master of Malt blog, both of which have talked about the process of making blends at home. I first seriously tried Auchentoshan a couple of years ago and had mixed feelings about their basic 12 Year expression. Later that year I got to visit the distillery, which gave me an increased appreciation for their products. Since I actively dislike Glenkinchie, Auchentoshan was the obvious choice to represent the Lowlands when I held an introduction of scotch tasting a few months back, giving me an excuse to revisit the whisky. Auchentoshan has revamped the packaging for its whiskies over the last year or two, which, as always, makes one suspect that they contents have changed a bit as well. Either way, it is still bottled at 40%, presumably with coloring and chill-filtration. Nose: creamy purple/bubblegum sherry, grapes, strawberry/raspberry, pineapple, yeast extract, vanilla, malt, bread dough, mild fresh oak, walnuts, green/herbal, floral, incense, a touch of charred wood. After adding a few drops of water, it becomes softer but darker, with the sherry taking on an almost smoky edge, the oak becomes more polished, and the other younger fruit notes mostly disappear. The most striking difference between my first impressions of this whisky and the ones I have gotten more recently is how much more clearly sherried the whisky is now. While the mini I tried was more bourbon cask-driven (I was actually unsure if there were any sherry casks in the mix until I checked with the master blender), the full bottle tilted more towards the sherry casks. I don't know if that's just a difference between minis and full bottles or if there has been an actual shift in towards sherry casks in the makeup. I still wish that Suntory would up its game and release Auchentoshan with the craft presentation it deserves, as the palate falls a little bit flat in comparison to the nose. But I will admit that going through a full bottle has made me appreciate its charms more fully. The use of sherry casks in this expression is relatively deft and has a unique sherry character, though I still find myself longing for the purity of their bourbon cask spirit. Ultimately its strength is as a crowd pleaser - I've introduced this whisky to a number of new and experienced drinkers over the last couple of months and it never failed to impress. It's sweet without being cloying and light enough to be an easy sipper without being boring. One of the first whiskies I reviewed was Clynelish 14 Year. Ever since then it's been one of my go-to recommendations as a good whisky that won't cost the world. So it was a natural choice when I held and introduction to scotch whisky tasting a few months back. Since then I've been working my way through the bottle and reevaluating how I feel about it. While the packaging has changed slightly since that first bottle I tried, it is still bottled at 46%, though there is no indication whether or not it is chill-filtered and colored. Nose: lots of dusty malt, fresh and baked apples, beeswax, mesquite honey, graham crackers, cranberry, pork roast, light vanilla and oak, floral heather, nori/seaweed/sea air, pink bubblegum. After adding a few drops of water, the floral and grain elements integrate, and it becomes doughier. Taste: malt and barrel sweetness throughout, slightly tempered by oak tannins around the middle, berry esters ride on top, salty seashore in the background. After dilution, the grain and wood notes integrate to make it less sweet overall, and some floral/vegetal notes come out around the middle. Clynelish 14 Year is one of the few things that I feel Diageo hasn't screwed up. It's good Highland whisky bottled at a reasonable strength, at a decent age, and for a very acceptable price. There's nothing particularly fancy or pretentious about it - no special casks, no story about strange coincidences or historical events - just plain solid malt. Yes, their latest special release (and I'm not even talking about Brora) is completely absurd, but as long as I can buy the standard 14 Year for under $50, I could really care less. This is a whisky for drinking, not collecting. With that said, my impressions now are somewhat different from the first bottle I drank. Since I don't have a reference sample from that bottle, it's hard to know if it's the whisky that's changed or my palate. I would hazard that it's some of both. This reads much more like pure bourbon cask whisky to me, without the sherry notes that I found in the original. There's a lot of pressure on Clynelish stocks as its a critical part of Johnnie Walker blends, so the single malt may not be getting as many choice casks now. I also didn't find as much salinity or peat this time, but that may be more about my palate becoming used to more extreme whiskies. Either way, it's still very good and something that I would highly recommend. On a slightly different note, I find myself agreeing with John Glasser of Compass Box about Clynelish's utility as the core of blends. As I purchased this alongside a number of other standard release whiskies for the tasting I held in December, I've been playing around with them to make quick blends. Clynelish is almost always a solid base for further blending, absorbing the best parts of sherried and peated whiskies that are added to it. I will probably keep a bottle of Clynelish around in future, if only for that purpose. This month's Mixology Monday theme continues the classic trend from last month's "That's Not a Martini!" by looking at the humble Old Fashioned. 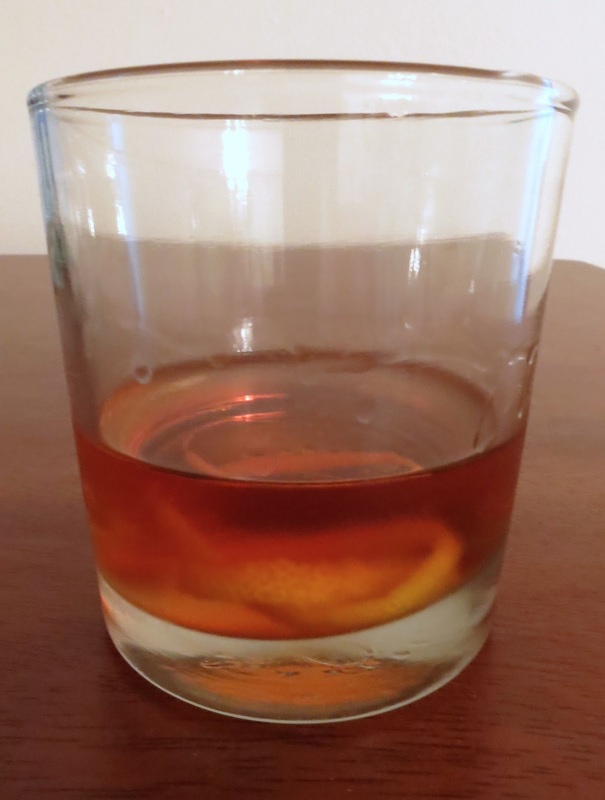 One of the last true cocktails in the original sense of being composed of nothing more than spirit, sugar, and bitters, the Old Fashioned was old fashioned by the late-19th century. "The Old-Fashioned was a drinker's pleas for a saner, quieter, slower life, one in which a gent could take a drink or two without fear that it would impair his ability to dodge a speeding streetcar or operate a rotary press." Laura at Sass & Gin has challenged us to come up with new riffs on the archetypical cocktail, using the wide array of spirits and bitters now available to the discerning drinker. My drink was inspired by the Prescription Julep, which takes the traditional Mint Julep and replaces much of its bourbon or rye with cognac, as would have been more common during the 19th century. Combine all ingredients, stir with ice for 15 seconds, then strain into a chilled cocktail glass and garnish with a twist of lemon. The nose leads with the cognac's grape notes, accented by rye grain and lemon oil. The sip leads with cognac, then segues into shifting rye grain/spice and cognac, accented with the bitters and pastis. Most of the action is at the back and in the finish. Using cognac as the primary base of this drink makes it softer than a pure rye-based version. I like the way that switch transforms it from an on-point drink (lots of herbal/spice notes from the rye, bitters, and pastis) to a counterpoint drink (softer fruit from the cognac conterbalanced with herbal/spice notes from the bitters and pastis). I think this would have been better if I had broken out the Louis Royer Force 53 to give the drink a more muscular base, but Pierre Ferrand Ambre is a totally acceptable, albeit somewhat mellow, choice. Thanks again to Fred and everyone else keeping Mixology Monday going. Why Doesn't America Have Independent Bottlers Like Everywhere Else? People who become interested in scotch will invariably discover the seeming multitude of independent bottlers who buy spirit or mature casks from any number of distilleries and bottle it (usually) with the name of the distillery prominently displayed on the label. Some are long established companies, like Gordon & Macphail or Signatory, while others are small operations that bottle a handful of casks before fading into obscurity. But with rare exceptions *cough*Glenfarclas*cough* the owners of the distilleries that they source spirit from are perfectly willing to have other companies use the names of those distilleries on their products. The situation in America is very different. While there have always been companies that operated on roughly the same principle - buy whiskey from large distilleries and bottle it under their own labels - it is extremely rare for those labels to state exactly where the whiskey was distilled, other than the state it came from. With rare exceptions, e.g. LDI/MGP, that makes it very difficult to determine who made the whiskey in a bottle. Until fairly recently, no one was particularly bothered by this state of affairs. But the whiskey boom of the last 5-10 years has resulted in a confluence of factors that has radically altered drinkers' attitudes. There has been a proliferation of new outfits buying whiskey from major distilleries and bottling it under their own labels at the same time as a lot of genuine new microdistilleries have been opened as a result of the increase in demand for new whiskey. On top of this, many of those drinkers are very interested in knowing exactly where the spirit they're consuming came from and how it was made. This has, unsurprisingly, led to a lot of shifty dealing. The now classic example is Templeton rye whiskey. They were one of the first outfits to discover the untapped resource of Lawrence Distillers Indiana (LDI), which had been quietly producing a unique 95% rye mashbill whiskey. As a distillery that was already focused on selling bulk whiskey, they were perfectly happy to sell it to a new company. Templeton took that whiskey, added a story about Al Capone's favorite rye and how the recipe had been handed down over the generations, and proceeded to sell it at a very healthy markup. It was a pretty good business plan. For a while. While plenty of customers and journalists were willing to swallow the story whole (in no small part because even some of the most knowledgeable people in whiskey didn't know about LDI when Templeton was first released), others started poking around and eventually sussed out the source. It took a while for the facts to percolate into public consciousness, but they have now resulted in a lawsuit against Templeton claiming false advertising. Similar accusations have been leveled against Whistlepig, who sourced 100% rye Canadian whiskey while giving a wink and a nod about their farm distillery in Vermont (which didn't have any stills), and Michter's, who have taken the name of a famous and now defunct distillery and used it to sell sourced whiskey. Many other outfits, while not being intentionally shady, never state exactly where their sourced whiskey is from for the simple reason that most of the major distilleries include nondisclosure clauses in their sales contracts (though MGP no longer does). So even when a bottler would like to state the provenance of their whiskey, they are left with little to do but drop hints, rather than stating the source plainly. A few will disclose the mashbills of the whiskey they are bottling, which in some cases allows the astute drinker to suss out the source. But given how few different mash bills there are for bourbon and rye whiskey, those are often little better than guesses. This is in marked contrast to Scottish indies like Cadenhead and Alchemist who clearly the state the source of their bourbons (usually Heaven Hill). There are a number of historical and structural reasons for the differences between independent bottlers in Scotland (and the rest of the world) and non-distiller producers (NDPs) in America. A major factor is the concentration of production in America. The vast majority of the whiskey produced in America is made by a handful of companies (Brown-Forman, Heaven Hill, Wild Turkey, Four Roses, Buffalo Trace, Jim Beam, Diageo, and MGP) at a slightly greater number of distilleries. This came about largely because of Prohibition, which both pushed a lot of distilleries out of business and, after Repeal, encouraged consolidation as the government preferred to work with a smaller number of easily regulated entities. That concentration of ownership means that each distillery produces a wide variety of brands, often from what appear to be different places. This has meant that more established NDPs have been able to happily coexist with the majors' brands as they often look very similar, e.g. Luxco's Ezra Brooks, which is distilled by Heaven Hill and has a label very reminiscent of Evan Williams or Jim Beam. Even major companies like Diageo play this game, with Bulleit bourbon being produced by Four Roses (though this is slated to change as they are opening their own distillery) and Bulleit as well as George Dickel ryes being made by MGP, while carrying a story about the Bulleit family recipe. So when new NDPs began to blossom during the current whiskey boom, they were entering a market already replete with dubious backstories. This was also among the backdrop of microdistilleries popping up across the country, who all touted the superior quality of their 'craft' spirits. So while the majors tended to present stories based around 19th century ancestors, the smaller outfits were more likely to talk up the 'artisanal' qualities of their spirits. Many skirted around the issue without making outright lies, talking about the quality of the water used to proof down the spirit or other minor contributions, while hinting at their superior quality to justify the enhanced price tags. And let's be honest, a lot of their customers were quite satisfied with the stories they were purchasing alongside those spirits and many no doubt tasted something better than a regular bottle of Jim Beam. Let's contrast this with Scotland. While ownership of distilleries may be nearly as concentrated (roughly the same number of majors own most of the distilleries), production is far more dispersed, with over a hundred rather than a dozen big distilleries. Even more important is the tradition of blending in Scotland, where the output of many malt distilleries, plus one or more grain distilleries, are combined to produce a single product. This necessitates the purchase and trading of casks from one distillery with others, as blenders seek the components they need to maintain a consistent flavor profile. The earliest independent bottlers grew out of the blend trade and some still have a hand in it. So there is a long tradition of warehouses containing casks of whisky from a multitude of different distilleries. It is perhaps unsurprising that some of these companies decided to start bottling some choice casks on their own, rather than making them components of blends. Because the owners of distilleries were often dependent on others for their own blends, the person you sold to today might be someone you needed to buy whisky from tomorrow. So a sort of gentleman's agreement evolved around independent bottlers, who were (usually) allowed to sell the output of other distilleries with the provenance clearly stated. That isn't to say that all NDPs in Scotland are perfectly explicit about their whisky - the blends themselves and many 'mystery malts' are just as hazy - only that in Scotland and other countries it is possible to be more explicit. The lack of a similar blending tradition in America (it was quite novel and a little confusing when High West began to produce American whiskeys built from the output of multiple distilleries) means that there is no comparable system of trading spirits between distillers or independent companies. Sales of whiskey are largely unidirectional and primarily a matter of contracts. A distiller will sell their output when they have excess capacity and will let those contracts lapse when demand for their products rises. Additionally, the aforementioned plethora of brands produced by single distilleries means that they have an incentive to prevent NDPs from disclosing the source of their whiskey, as it would break their long-established illusions - hence the nondisclosure agreements that most NDPs are forced to sign. At this point it would likely require a major rewriting of regulations to change the status quo. While the TTB is making an effort to enforce the labeling regulations that are on the books, these are fairly minimal when it comes to source disclosure - the state where a whiskey was distilled and the state where it was bottled are about as close as it gets right now. As I noted, the majors have no incentive to change the status quo as they aren't the ones who are hurt if customers who purchased whiskey from an NDP get mad about a brand leading them to believe that it was 'hand crafted' or any other sort of nonsense. And while it would be nice if the NDPs militated for more transparency, many of them benefit from obfuscation and those who would like to be more open have little to no leverage to bring about change. Ultimately, if customers want to know where their whiskey comes from they will have to insist upon it, either by cajoling the NDPs to disclose as much information as they are legally able to do so or by lobbying the government to change regulations to require more information on labels. 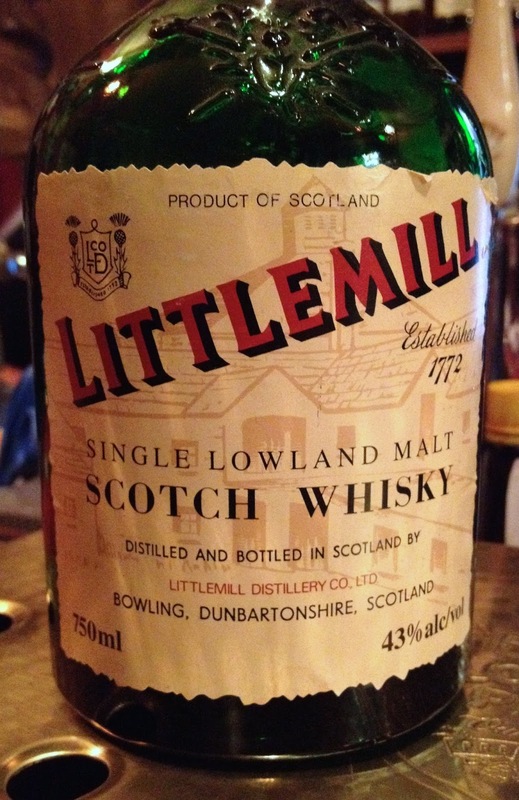 Littlemill was, before it was closed in 1996 and then burned down in 2004, the oldest operating distillery in Scotland. Its beginnings go back to the 1772, when it was built in the village of Bowling, along the river Clyde between Dumbarton and Clydebank, northwest of Glasgow. Production carried on largely uninterrupted (except for a brief closure between 1929 and 1931, at which point they ceased triple distillation in favor of double) until 1984, when the distillery was shuttered for the first time. It was rocky from there on, with a brief reopening between 1989 and 1994, when it was was purchased by the Loch Lomond Distillery. For reasons unknown, the new owners never started operating it again, instead dismantling it in the late-90s. Littlemill appears to have been a slightly odd place during the 20th century, with its owners trying many experimental setups that may or, more likely, may not have improved the whisky. For some time, four of the six stills were fitted with Lomond heads, which contained rectifying plates that were supposed to allow the distillers to produce many different types of spirit from the same stills by increasing or decreasing the amount of reflux. However, they were extremely difficult to clean and didn't appear to produce spirit popular with blenders, as intended. More wildly, the stills were covered in aluminum, presumably to reduce the amount of radiative heat loss. Considering the distillery's fate, it seems like they would have been better off sticking with simple pot stills. This particular bottle was released sometime in the late-90s or early-2000s from the distillery's remaining stock alongside a 17 year old in a similar bottle, which were both phased out for a 12 year old in the early-2000s. It was bottled at 43%, likely with chill-filtration and maybe a little caramel coloring. While these bottles are getting rather rare, I was able to try a dram at the Highland Stillhouse. Nose: green apples, yeast, brown sugar, malt, grapes, fresh leaves, very light acetone/solvent, hints of citrus (orange peel? ), pancakes/waffles. After adding a few drops of water, some musky cognac and cinnamon toast notes come out. Taste: a lot of new make flavor that is almost covered up by malt sweetness and green apples/grapes, pineapple in the middle, and grainy/bitter malt at the back. After dilution, the green malt/new make notes integrate into the malt sweetness, there is more grainy bitterness at the back, and floral overtones emerge. This is clearly a young malt without a lot of oak influence. As Michael Kravitz describes them, a 'naked' malt. The new make character is a little too assertive for me to think of this as more than a curiosity, but it gives me some hope for the older 12 Year that I have waiting to open. With a little more time, the new make may have faded in favor of the rather nice fruit esters. Fettercairn is a distillery in the eastern Highlands that is generally in the 'out of sight, out of mind' category, as its production is mostly slated for blends. It does produce some single malts of its own, but the selection isn't very broad. The Davids of K&L managed to snag this cask from the Creative Whisky Company and bottled it under the Exclusive Malts label. The spirit was distilled in 1995, aged in an unspecified type of oak cask, and bottled in 2013 at the full proof of 57.1% without chill filtration or coloring. Nose: musky perfumed oak, toasty, buttery, a little plastic, porridge-y malt, orange/citrus honey, berries, raisins, a little salty, a touch of something farm-y/sulfurous. After adding a few drops of water, the malt becomes more pronounced, the oak and raisins integrate, but it feels younger overall. Taste: very sweet up front - primarily wood sugars and raisins, which is eventually countered by a solid dose of oak tannins, with grain riding underneath. After dilution, the oak and malt integrate more, so the sweetness is more balanced, while the raisin notes become more expansive and juicier. Unlike both Michael and Florin, this one just didn't do it for me. I can't cite any particular flaws with the whisky, it just didn't bring anything particularly interesting to the table. I can see why Michael thought this one might be from an Nth-fill sherry cask - there are hints around the edges - but it might just be the high concentration of oak. This does make me want to search out more Fettercairn, but it doesn't turn me off of the distillery either. Ultimately my feelings about this one are all irrelevant, since this sold out long ago.